The West Feliciana High Mock Trial team placed sixth in the Yale Mock Trial Bulldog Invitational in New Haven, Connecticut. Summer Knight won the best attorney award, and Marleigh Jaehnel and Mary Barrow won the best witness awards. 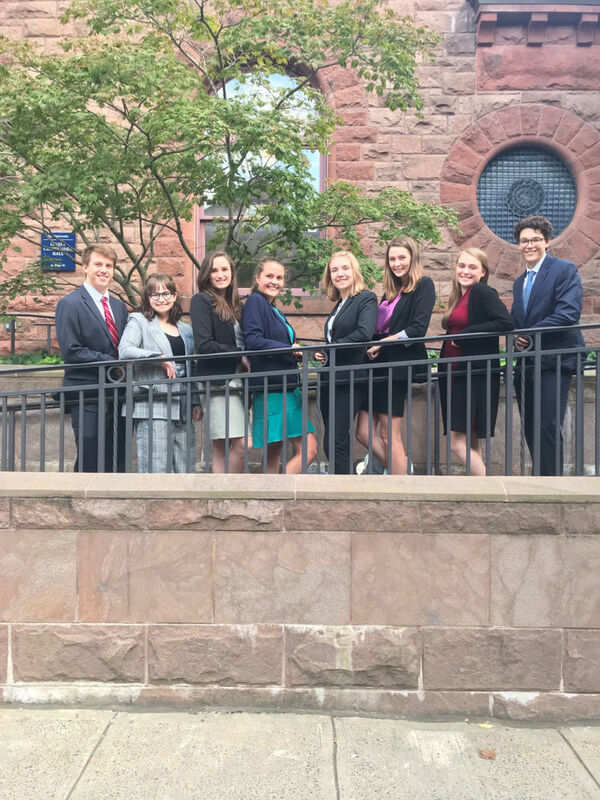 From left, Daniel Field, Summer Knight, Reagan Edwards, Landry Higgins, Marleigh Jaehnel, Emily Leblanc, and Ellis Manieri, the West Feliciana High Mock Trial team, placed sixth in the Yale Mock Trial Bulldog Invitational in New Haven, Connecticut. Knight won the best attorney award, and Jaehnel and Mary Barrow won the best witness awards.